Please call the store at 805-751-4300 to check availability. NOTE: This item must be paid for in-store. Delivery options are available for this item. 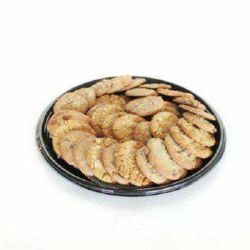 A delicious assortment of our fresh baked cookies.Platter pictured may not reflect the size platter ordered.